Dr. Sid Viner is the Calgary Zone Medical Director for Alberta Health Services. He shares accountability for the Calgary Zone with Brenda Huband, Vice President and Chief Health Operations Officer. Dr. Viner is responsible for the overall clinical operations in the Calgary Zone, including physicians and practitioners. Dr. Viner is a patient-focused leader with a passion for quality improvement, patient safety and health system transformation. 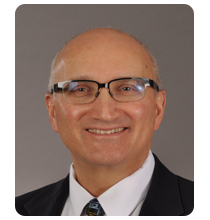 He has over 25 years of clinical practice and medical leadership experience. He has held a variety of medical leadership roles, including the Director of Intensive Care at the Calgary General and Peter Lougheed Hospital (PLC), the Executive Medical Director at PLC, Senior Vice President of Health Outcomes of the Calgary Health Region, and Associate Zone Medical Director, Calgary Zone. Dr. Viner is a specialist in Respiratory and Critical Care Medicine who has practiced in Calgary since 1990. He is a Clinical Associate Professor at the University of Calgary in the Department of Critical Care and Division of Respiratory Medicine. He received his MD degree from the University of Alberta in 1983. After completing a rotating internship at the Holy Cross Hospital in Calgary, he completed post-graduate training in Internal Medicine, Respirology and Critical Care at the University of California, Los Angeles, University of Toronto and University of Pittsburgh. While maintaining a busy inpatient clinical practice, Dr. Viner is also actively involved in teaching within the Faculty of Medicine. Dr. Viner, a native Calgarian, is married with three children.